Pssst, keep reading because we have a competition to win £100 of Vel-Oh goodies too. Can you tell us a little more about when you first had the idea to create Vel-Oh? When did we realise that you knew we could really make it happen? We love your ethos about working and creating wherever you go – where’s your dream location? We know you recently moved to Ireland from London. How different is riding a bike there? Tell us a little about the process of making each of your products? Do your skills complement each other’s?" What's it like working with your husband? Do you have a favourite Vel-Oh bag or product? What does a day at Vel-Oh HQ look like? To be in with a chance of winning £100 to spend at Vel-Oh, simply answer the question below. What's special about the Worker bag? 1. You can only use it for work. 2. 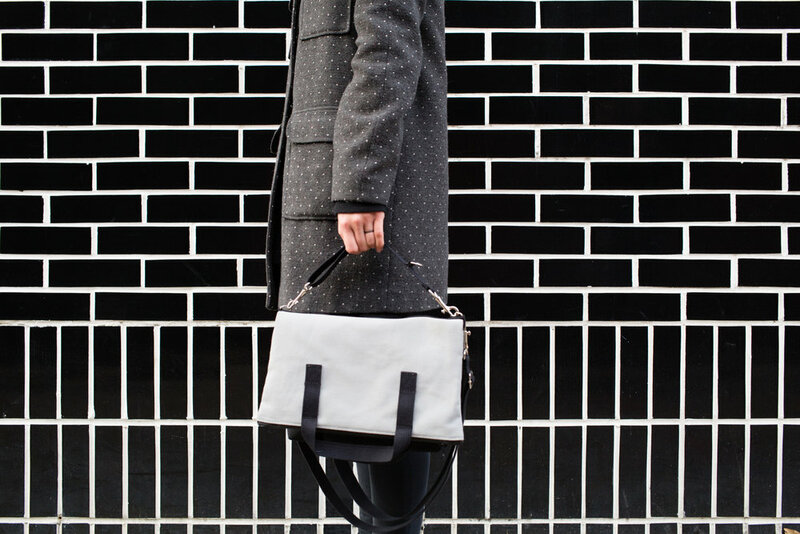 It's a totebag / backpack hybrid and Vel-Oh's first ever product. 3. It's glow in the dark. Iceberg T&Cs: The competition closes 22 March 2019. A winner will be chosen at random from all correct entries after this time and notified shortly after. Full terms and conditions are at icebergpress.co.uk/comprules.